This is the 12th post in our weekly fall School Stress series, a back-to-school toolkit for parents on how to best navigate their teen’s stress and anxiety — explored in our documentary BREAKING POINTS. We’re delighted to have Cheryl Vigder Brause as our guest blogger this week. 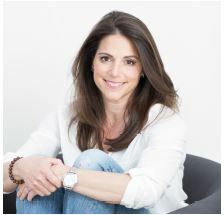 Cheryl is a writer, speaker and the co-founder and executive director of 2bpresent. Cheryl has extensive experience teaching mindfulness to adults, teens, and children in businesses, organizations and schools. What is Mindfulness?Mindfulness is the practice of intentionally paying attention to what you are experiencing in the present moment, without judging that experience. Mindfulness helps us become aware of our emotions, physical sensations and thoughts, with a sense of interest and curiosity. If you are feeling overwhelmed or have a question about your child’s drug or alcohol use, call our toll-free Helpline where you can speak with a trained and caring, master’s-level support specialist at 1-855-DRUGFREE (1-855-378-4373). If your teen is experiencing anxiety, depression, insomnia, attention disorders or suicide, seek out professional help. We are grateful to Cheryl Vigder Brause for sharing her insights and tips with us. To learn more, visit 2bpresent. 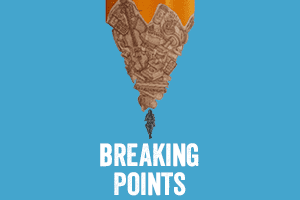 Host a screening of BREAKING POINTS, a documentary film that takes on the issue of study drugs and how they intersect with school stress. The package includes a Screening Guide with discussion questions and other bonus materials. Abusing prescription stimulants, or “study drugs,” actually does not improve teens’ GPA, can be very harmful to their health, and doesn’t teach grit or resilience. School stress can lead to teen drug use, but many parents with good intentions overlook the possibility. Learn the effects of stress and how to help your kid cope.